09/01/17. Fundación Carolina two Scholarships for the ESEUNE Global MBA in Bilbao (2017-2018). Deadline to apply Scholarships, April 6th. 01/10/16. 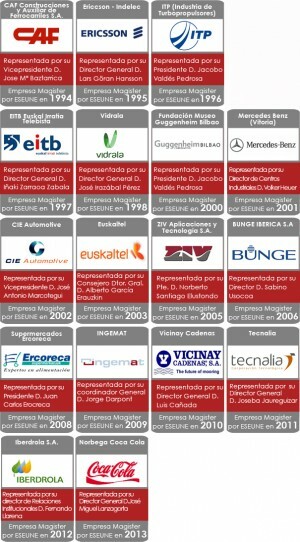 ESEUNE as one of the top Business School in Spain for a global world at the Cinco Días newspaper (read). Founded in Bilbao (Basque Country, Spain) in 1992, ESEUNE is a European Business School with a strong global spirit and a dynamic and innovative attitude. Nowadays a manager has to be able to solve problems in a market called the world. Globalization is an unquestionable reality and in ESEUNE we believe that the best way to understand globalization is to live it for yourself. Our groups are multicultural: multiculturalism and diversity are core values ​​for organizations and help grow people who participate in our programs by opening their minds. 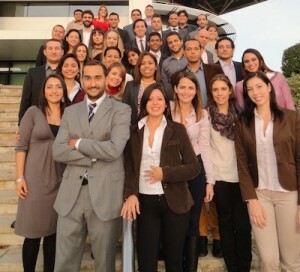 Our students come from 15 countries and from all continents. Teachers are professionals working in Europe, Asia and America and they convey very different experiences and perspectives that contribute to learning . Since 1992 ESEUNE EBS has collaborated with some of the best Universities in the world in the United States, Canada, United Kingdom, Australia, China, Latin America: Georgetown University, University of California at Berkeley, University of California at Los Angeles (UCLA), University of California at Irvine, New York University, University of Chicago, Utica College of Syracuse University, McMaster University, Swinburne University, Tianjin Polytechnic University, University of Lincoln, etc. 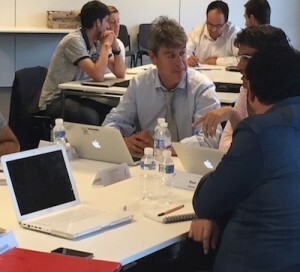 Internships in the full-time programs, thanks to the intense networking that in these 25 years of experience has generated an ecosystem of perfect symbiosis between organizations, people who participate in our masters and ESEUNE. Programs taught, always from a practical and real perspective, by a team of first level learning facilitators: they are not theoretical teachers but business people who transfer their day-to-day experience to the class. Professionals with skills to enhance learning generating dynamic and participative environments; ESEUNE’s identity mark and differentiating element with respect to institutions with an essentially academic perspective. The world is changing at a high speed, and both learning programs and methodologies are becoming obsolete in a short period of time. It is necessary to constantly innovate and few Business Schools in the world do it as fast and well as ESEUNE. In ESEUNE innovation is not just a subject. It is part of our DNA. We live in the digital age, the world of biotechnology, nanotechnology, life sciences … The business world cannot remain alien to this revolution. We believe that the time has come when business organizations must shed their clothes from the inherited company in the industrial revolution and design a dress according to the present times. Our mission consists of working with the people who invent the business models of the XXI Century. We have been pioneers in using the latest technologies to promote learning and create unique methodologies that generate experiences to be lived that favor the personal and professional growth of the participants: real practical projects developed for companies as a basis for learning (in Spain, the USA and China), business simulators, etc.. In 1992 ESEUNE introduced a one-month teaching period at New York University in its MBA programs. Since then we have been pioneers in the development of multicampus programs with stays in different continents. Our mission is to prepare the executives who will break the mold of the mechanical company and will develop new organizational forms using, in an intelligent way, the possibilities offered by people and technology, adapting to the demands of a dynamic, hypercompetitive and global market. In order to do this, we rely on a unique ecosystem that has evolved for 25 years and which is a perfect symbiosis between the people who participate in our programs, the organizations in our environment and our own institution. Networking and cooperation are key to the success of this ecosystem. Supported by it we get tremendously dynamic and practical programs that help people consolidate knowledge and empower and develop the personal and professional skills they need to adapt to change and lead competitive organizations. In this ecosystem we all become transforming agents at the same time that we are changed. Students come from more than 15 countries of the world (Europe, Asia, America, Australia …); Of the most varied sectors (industry, consumption, services, public administration …); Some have a long career (Executive) and others graduated a few years ago; Some are managers, other entrepreneurs; Many bet on the management of companies and others want to delve into the digital world, innovation or coaching. But they all have something in common: they are people who believe in another way of doing things and want to boost their personal and professional skills to develop new organizational models, managing the company as an evolution. 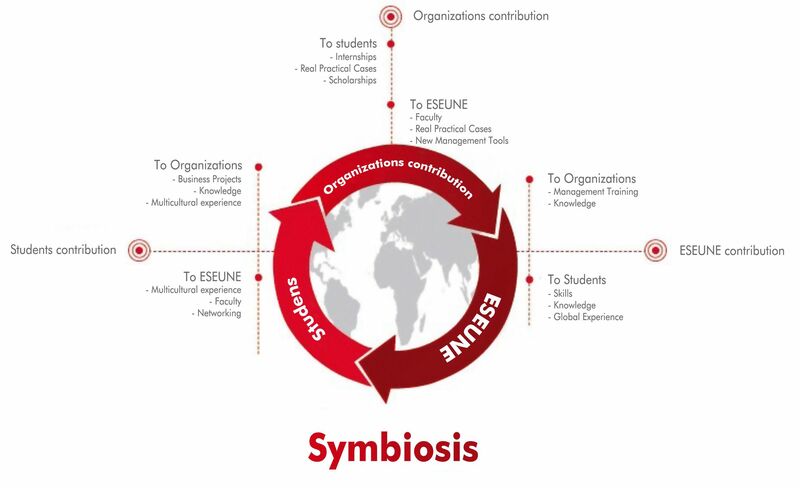 The organizations of our ecosystem play a fundamental role by providing case studies, real experiences, innovative tools, own vision of the business world, facilitators and even supporting part of the academic fees of students through contributions to a scholarship fund. 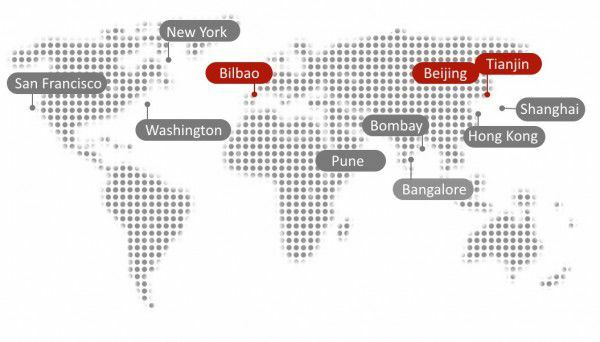 ESEUNE main campus is located in Bilbao (Basque Country, Spain) at the Bizkaia Technology Park where students enjoy modern facilities and business environment. 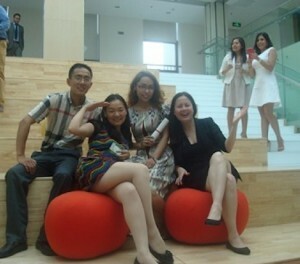 ESEUNE was one of the first european Business Schools with Campus in China. It is located in the Tianjin new Economy Area (Yujiapu) 50 minutes from Bejing city center by train. 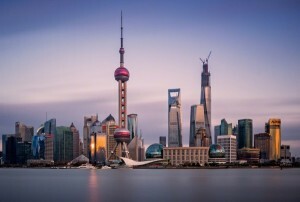 ESEUNE programs includes study trips to Beijing, Hong Kong and Shanghai. Since 1992 ESEUNE programs includes study trips to USA. Actually students enjoy a study trip to Silicon Valley and a week at Georgetown University, at Washington DC and New York City. 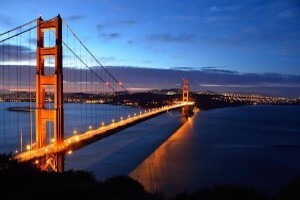 And four month optional extensions to University of California (Berkeley and Irvine). 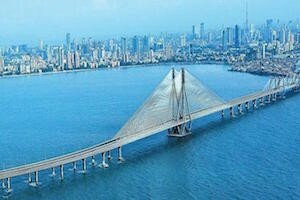 An optional two-weeks study trip to Bombay, Pune y Bangalore to learn more about the second biggest emerging economy.